The future is very murky for this grand old hotel, its next chapter remains to be written. It’s been a while since Mrs. Toad and I were on the west coast of Vancouver Island on a photo-excursion and when we recently visited the Sooke area and found this landmark in its current state it was a bit of a surprise. 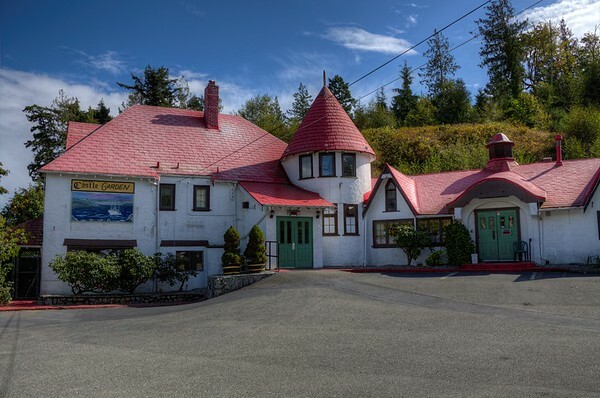 Join us in today’s post where we take a look at the Sooke River Hotel and Castle, a place with a storied past. This isn’t the original hotel as it was designed and built in 1912 by folks from the Seattle area who were speculating that a rush of buyers would come to the shores of the island intent on buying some of the beautiful and rich lands that were available at the time for sale. As the years went by, many famous people came to stay at the hotel including the Prince of Wales and Emily Carr, as famous Canadian artist. Stories have lingered over the years of rum-runners staying as well, adding a nefarious touch to the overall history of the place. In 1934 the main four-storey hotel burned to the ground. The stables were left intact and were then used as the main foundation for building the facility we see standing here today. 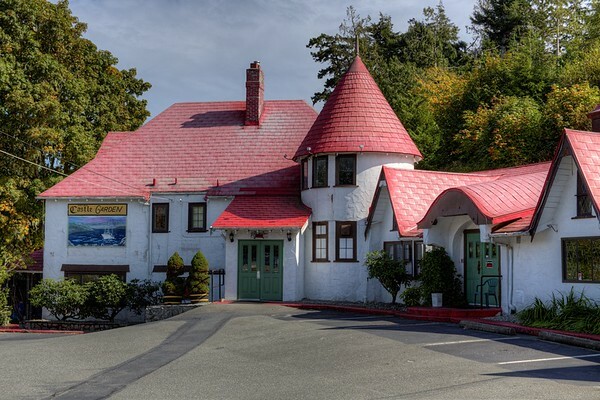 Known as the Sooke River Hotel and Castle, it has a distinctly European look to it, complete with turrets and rolling roof-lines. On the day we visited, the way the light was playing off the angles and edges of the red roof really added a great dimension to the scene as a whole, further adding to the olde-world feel. My deep love for turrets as architectural details is no real secret. The lovely Mrs. Toad has to endure, no less than once a week, yours truly standing in front of The Hollow with a quizzical look in my eye as I proudly and loudly state our house needs a turret. My distinct lack of skills with a hammer has precluded this from actually happening, but I am sure deep in Mrs. Toad’s heart she fears the day I start up a chainsaw and being to execute my grand plan. The way the light plays off the edges of the turret and the way it softens the lines is spectacular to me. This shot is one that looks a lot better full-screen and close-up, if you have the time and interest you will really be amazed at the incredible textures and details in the construction. This all serves to add an authentic feel to the impression you have when visiting in person. Now knowing that this building started it’s life as a stable, the scene begins to make more sense. One of the neat parts about this picture was noticed by Mrs. Toad when we were post-processing, she noticed the red stairs that lead up to a window. If you look closely you can see a door was once there. Stuff like this makes me want to get inside to shoot the interior of the facility rather badly. I just love the character here. Also, as we were making our way around and shooting the hotel, we noticed the weather was changing quickly, and with it the light. By the time this shot was taken, the sky had begun to take on a more ominous look with dark grey rain clouds coming in. Pure drama. This is our final shot in this series. At the very end of the building where we see the nose of a blue truck is where the Sooke Castle Liquor Store calls home. This last remaining heartbeat in the building serves to remind that us that indeed, the last chapter for the Sooke River Hotel and Castle has yet to be penned, anything can happen. 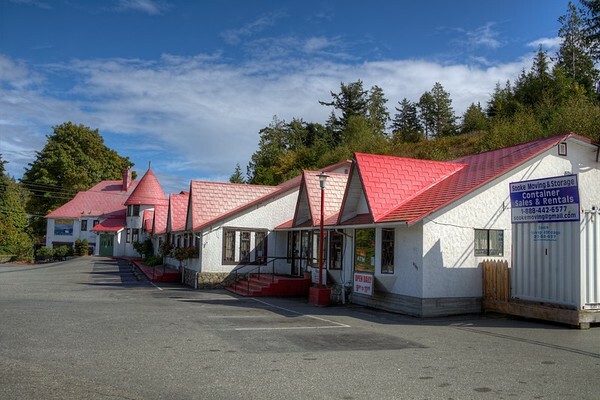 We love this facility, it was always one of our main highlights when traveling up and down the west coast to see as we came through the town of Sooke. With any luck someone out there will share our deep love for this place and bring a new vision to bear, one that will see a whole new life begin for a place that is truly special to so many islanders. Thank you ever so kindly for visiting today. We always love to hear from all our visitors, so please feel free to leave us any comments or thoughts you may have. Until next time, friends! What a cool place, too bad you could not go inside, great series as usual Toad’s ! Thank you so much Mike, your kind words really mean a lot to us here my good friend! Fabulous find … how lucky that the parking lots weren’t choked with cars … great colors and angles .. i’m a big fan of architectural photography as well, so just love this on so many levels!!! Big fun!!! Thanks Lois, that’s so nice of you my friend! We were marveling in how the lot was empty this day, and as we were packing up the gear both the dark clouds and a throng of cars descended upon the hotel vastly changing things. Timing is everything, I guess. My prime love is always architectural photography, too, it seems we share this common love! Many, many thanks for visiting and for taking the time to comment like this, it means an awful lot to us! Another terrific post Toad. I can just imagine how magical this place could be if someone gave it some TLC. Beautifully documented. Thank you so, so much Edith! Not sure how I missed your comments before, I apologize for that!! At any rate, we sure do appreciate you popping by like this and leaving these comments my friend! Now this is a place that has escaped my attention entirely. Thanks for bringing it to my attention, I will be lookign for it then next time I head out that road (whenever that might be). Great shots, looks like you had some fun, and work, processing the shots too as it is is a tricky subject. Yep, and the lighting was a bit of a challenge to capture the way I wanted but I am happy with the way it all turned out. Thanks so much for your kind visit my friend, and great comments!! This motel is still in operation? It is sad to see the many motels across the country that are abandoned. It makes me wonder why it was put up in the first place. It must have been a good place to have a business at one time. Why isn’t it still today. Plus all the other questions a person must wonder as they see these empty motels. You are just so kind to us, Averil, thank you so much! We really appreciate you taking the time to visit and leave these comments that I am sure everyone will enjoy!! I don’t believe the hotel is still running, my research shows the hotel portion closed in 2010 or so, but the liquor store at the end of the building is still open. I can’t find any public info as to what’s in store for the hotel in the future, we’re crossing our fingers here on this one! A photographer definitely finds some interesting angles here. I can see that the light may have been challenging, but that may be rewarding if you can make it work for you. These are brilliant photographs and a great story goes with them. The final photograph, a favorite, closes the story just right. That means the world to us, Joseph, thank you from the bottom of our hearts! I must say you and Mrs. Toad find the most interesting places to capture on digital pixel dust. Most might have driven right past, give one quick look, and down the road they went. Not the Toads! You saw, stopped, and captured for all to enjoy. I especially like the turret shot myself. Imagine being in that turret and capturing interesting cars as they pass by with your lens. That might be a whole other photo series. Good luck to you guys. Keep the photos coming. You sir are a true friend of the Toads. What wonderful comments, Spencer, thank you so much! This really means an awful lot to us! Beautiful work Toads! I love unique architecture such as this. I know the lighting can be challenging sometimes but you nailed it with these shots! I’m pretty good with a hammer so when you get ready to build that turret you just let me know! Have great week my friend! DUDE! You’re way too kind Michael, I will definitely let you know the moment the hammer is about to swing!! Thanks so much for popping on by and leaving your message of friendship and encouragement my friend! Thank you so very much Derrick, we really appreciate your visit and you taking the time to leave us your comments! What a lovely story to share here with us and all our readers, thank you for taking the time to visit and for leaving your story behind for all to enjoy! We used to pop by ourselves quite a few years ago when we were in the neighborhood. It is a bit of an iconic landmark as far as we are concerned. I hope the future has a good story for this facility, we’d love to see it maintained and find a second life. Thank you SO much for your visit here Marion, that’s just so kind of you! 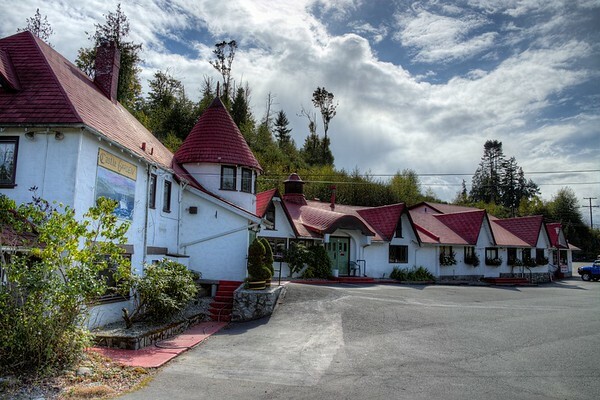 I grew up at the Castle – Sooke River Hotel, well I started going just before I turned 19 (in the day’s no one checked ID) I celebrated my 19th B.Day there and Jimmy and Don Rittaler just shook their heads..LOL!!! What fun we had over the years shooting pool, playing in a Shuffleboard League…then a great place to gather after mixed soft ball games! I no longer live in Sooke but I lived there on and off for years!! I have so many dear friends and extended family that I visit often throughout the year! 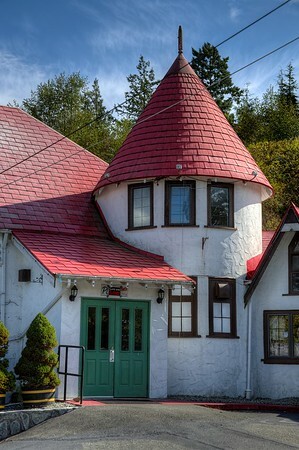 I Love Sooke and I miss the “Castle” It’s a shame that the Rittaler family has lost 2 brothers that were responsible for keeping the hotel running. They are missed dearly, I do wish another family would buy this establishment and rebuild this hotel into the GEM it was and could be again……. What wonderful comments, my friend, thank you so much for taking the time to visit and leave these for us! It’s really amazing how some of these landmarks become such a big symbol for communities, we love to see that. I am totally with you, let’s hope someone comes along and buys the place to refurbish it and return it to it’s former glory! 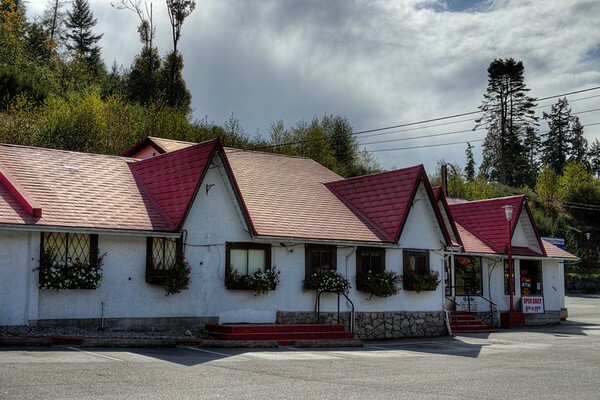 This place has been the welcome home to many Sooke people over the years , (myself included) the laughter and the tears shared in that building will live on forever no matter what happens to the building! Fabulous comments, Ben, thank you so much for taking the time to visit and for leaving these wonderful thoughts for all to enjoy! Thank you both for visiting and for leaving these great comments Christina! Best wishes!! Thank you so much for your kind visit, Joanne, that really means a lot to us! We see so many folks from the island here who have ties to this place, it’s really amazing. We’d LOVE to get inside to shoot it, we’re still hoping to be in contact with someone who can help us with this. Thank you again for taking the time to pop by our humble corner of the internet and share your comments! Hello Mr. Ritaller….I grew up with your kids in high school at Edward Milne back in the 70’s. Me and Emmy Humphrey were neighbours on Phillips Road and as you know, your daughter dated Harry Filgate. Anyway, I brought my husband to the pub on one of our Harley trips….he met you and loved the site – lots of history there!